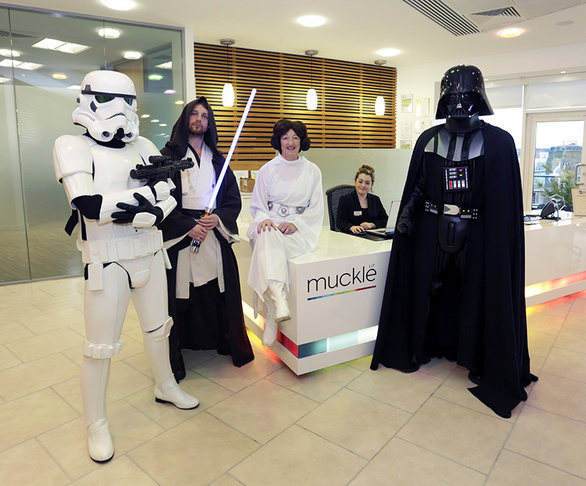 The Force – powered by Star Wars fans at Muckle LLP law firm – has been awakened. In an epic battle of good versus the dark side, lightsabers crossed at the commercial law firm to secure a Star Wars screening for more than 250 guests at the Tyneside Cinema in Newcastle. The firm, which is well-known across the North East for being a force for good in the community, arranged the screening for clients and their families. The private screening for guests of Muckle in a galaxy (not too) far, far away, will take place on Saturday at the Tyneside Cinema in Pilgrim Street.